Participation and eligibility is open to anyone 18 years of age or older for the Central Coast Slam Down VIII. Minors are eligible to participate with a parent or legal guardian signature on the release form and parent or legal guardian accompany the minor on the water during the tournament at all times. A completed entry form, waiver, and entry fee must be received no later than the published entry date. Entry fee includes rights to fish, tournament t-shirt and a captain’s bag which is provided for each participant on a first come first serve basis. There will be no ‘day of tournament’ registration, no exceptions. However, anglers may choose to register at the Captains Meeting the evening before the event. If an angler chooses to register at the Captains Meeting, he/she will not be issued a captain’s bag or T-shirt and the entry fee will increase. Captain’s bags will only be issued to those anglers who pre-register. The mandatory Pre-Party/Captains Meeting will be held at El Chorro Regional Park in the Poppy Day Use Area at 7:00 pm on Friday, September 13th. If you are unable to attend this Meeting, you must contact the tournament director at ryan@centralcoastkayakfishing.com. Captain’s bags and identifiers will be handed out at our Captains Meeting and rules/regulations will be reviewed and the I Angler Tournament app explained. Each Participant must pre-register and pay before September 7th. If you choose to pay after September 8th, it must be done at the captains meeting and NO CAPTAIN BAG ISSUED. Please see below for the breakdown of the cost for registration. Register between August 28th – September 8th ~ $120 Captains Bags first come after pre-registration no shirts available. Note: The last day to order Slam Down apparel will be August 27th, 2018. Apparel will not be available on the day of the event. Fishing hours will begin at 6:30 am and anglers must be checked in by 3:00 pm on September 14th, 2018 at El Chorro. All photos must be submitted no later than 3:00 pm on IAngler. NO exceptions, regardless of fishing location. You will not be able to submit fish on the IAngler Tournament app after Check in time which is 3:00 pm. Physical Check-in will take place at El Chorro Regional Park for those unable to use the app. There will be NO need to check in the morning of the event as the captains meeting is mandatory the night before, and will qualify as your check in. This will be scored on a point per inch (ppi) system of the following species below, with the corresponding points per species noted. Only your top five scores will be used for your total. Within your top five highest scoring fish, 2 lingcod, 2 rockfish, and/or 2 cabezon may be included, and the remaining species are limited to 1. Participants are prohibited from combining catches for the benefit of another angler. Please Note: All judging will be done using the IAngler app. All photos of your catch must be submitted using the IAngler app. Catch and Release is encouraged. 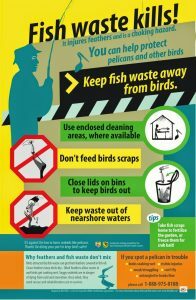 If you choose to keep your catch please dispose of your catch properly or store in a cooler. Here is an example of how your score would be calculated: If you catch a 36” Lingcod, 28.5” Lingcod, 23” Rockfish, 22.5” Rockfish, 21.5’’ Rockfish, 25” Halibut and 23” Cabezon this would be your score for each. In the above example, your event total would be 2472.5 pts, using your 2 largest Lingcod, 2 largest Rockfish, and 1 Cabezon. On the morning of the event before launching, you will need to take a photo of your rigged kayak at the launch area with your measuring device and scoring marker visible. This must be done with enough light on the beach. The official launch time is 6:30 am and launching before this time will disqualify you. You must take a picture of each fish that you plan on submitting via the IAngler app, on a measuring device showing the entire length of the fish with the Slam Down VII identifying logo. The photos must be taken on or in the kayak. These will be used to verify the length of your catch. More than one photo of your fish can be taken and is encouraged to show length of the fish. Fish must be clearly of legal size in photo. If you fail to provide photos that verify the entire length of your catch, you will be disqualified. One of the lips of the fish must be touching the front of the board for it to count. Cell phones are permitted to be used to take pictures of your fish for scoring and are recommended. All photos must be submitted through the IAngler app. If you do not have access to a smartphone, please contact me via email before the tournament date so that further instructions can be given as to how to document your catch. In the event of a tie, the angler that submitted all documentation of their catch first will win the tie breaker. The awards ceremony will take place at the El Chorro Regional Park Poppy day use area on Saturday, September 15th at approximately 4:00 pm. Raffle prizes and a potluck will be hosted during this time as well. Please sign up on the forum to provide items for our potluck. All fish must be caught within San Luis Obispo County. You can launch at any public location between these two boundaries, with Pismo Pier being the most southern boundary and San Simeon Point being the most northern boundary. All fishing locations must be in waters accessible according to the law, USCG, and DFW regulations. You must follow all DFW rules which include not fishing in any MLPA. Tournament is open to kayaks and paddleboards. Electric Motors are permitted to participate in tournament, however are limited to a max of 3 HP or 155 foot pound thrust. No other power source maybe used to move your kayak nor any other type of vessel. The use of any other boat or motorized water vehicle to transport your boat on the water is prohibited. There may be no assistance from non-participating anglers. All fish must be caught via hook and line. The selection of baits is up to the discretion of the participant. Submit Photos taken on smart phone using iAngler Tournament App only. If angler shorts himself overall length in a photo entry, that photo entry will be accepted. Angler may resubmit correct measurement before sign in cut off time. 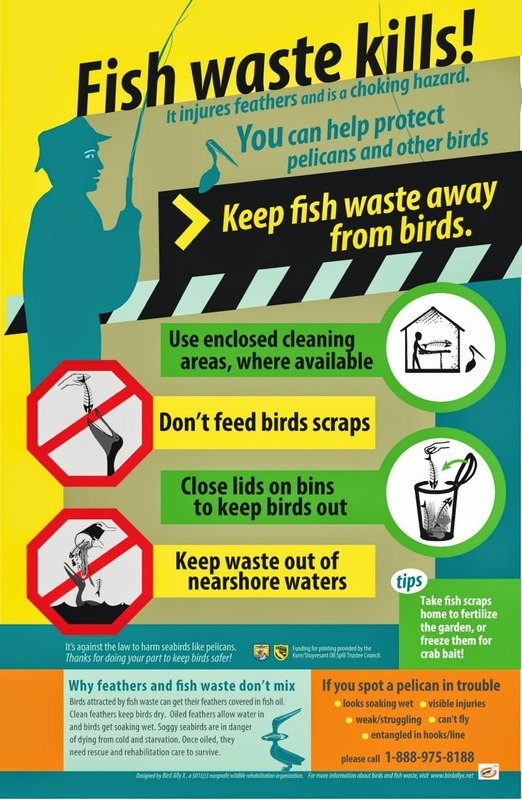 This is an ANGLER RESPONSIBILITY and not that of the CCSDVII or iAngler Tournament. Incorrect measurement that gives angler an advantage by entering incorrect length that is greater than the actual photo measurement or incorrect species of fish, will be rejected and not counted until angler re-submits rejected entry notice with correction. This is an ANGLER RESPONSIBILITY and not that of the CCSDVII or iAngler Tournanament. No corrections what so ever will be allowed after weigh in cut off time. It is the ANGLER RESPONSIBILITY to check that all photos are scored and may be done on the anglers smart phone in the iAngler Tournament App. A launch photo of kayak on water edge or in the water at launch. Bump board with CCSDVII tournament token must be clearly in photo. Angler must have photo available for tournament staff upon request. Scorecard turn-in will begin at 1pm until 3:00PM at El Chorro Regional Park in San Luis Obispo, CA. This is located across the street from Cuesta College. There is a day use fee, which is $3. Check in will be set up in the Poppy day use area. Please see the map provided. Scoring will be done completely online, through IAngler Tournament App. Please do not bring your catch to check in. We will only be verifying length of fish through digital devices. All competitors must submit their catch on the IAngler Tournament App by 3:00 pm to be eligible for fishing prizes. Anglers must be back at El Chorro regional by 3:30pm for photo verification of launch location. So plan travel time accordingly. Please use safe boating at all times. Be considerate of other paddlers and power boaters at the launch and on the water. Please wheel your kayak when using launch ramps in order to keep it clear as much as possible. During competition, each contestant is required to comply with USCG regulations. In addition, participants must wear a PFD at all times while competing in the event failure to comply may result in disqualification and must be in possession of a sounding device. Tournament days may be shortened or canceled due to unsafe weather or water conditions. The decision to shorten or to cancel will be at the sole discretion of the tournament director. A 4-hour period shall constitute a day of fishing. Be aware of the tides, winds and swell forecasts prior to launching. Know the launch and landing area. Please be patient when coming in. You are advised to fish with other anglers to assist in launching and landing if necessary. All California DFW rules must be followed. This includes having possession of a CA fishing license. Be prepared to show your current fishing license, at check-in. All participants must have a net with 18” opening per DFW regulations. May not be employed, in any manner, during the tournament to assist angler participants. Fishing with a guide will be cause for disqualification! It is permissible for more than one entrant to share the same paddle vessel. Each paddler must be a registered participant and is scored separately. Fish may NEVER be shared among entrants. If more than one person is in a tandem, both must be registered anglers – use of an extra person strictly as a paddler is forbidden. Participants may only use digital cameras for recording scoring fish. Entrants must bring the camera and download cord from their camera to check-in so that pictures may be retrieved. Phones are not recommended but are accepted. Cameras may not be shared. In the scoring fish pictures, the CCSDVII token and the appropriate entrant’s kayak must also be in the picture. Scoring photos remain the sole ownership of CentralCoastKayakFishing to be used at their discretion. Contestants grant CentralCoastKayakFishing and the sponsors the unconditional right to use their name, voice, photographic likeness and biographical information in connection with CentralCoastKayakFishing tournaments, production, promotion, and/or articles and press releases, and shall not be entitled to receive any royalties or other compensation in connection with such use. This enables us to make next year’s tournament even better! Our sponsor’s also enjoy seeing their products being used! There is a prize awarded for the strangest/oddest/wildest catch outside of a Ling, Cabezon, Rockfish, Halibut. The judging panel and tournament director decide the identity of the Strange Fish and Strange Fish winner. A Milk Crate will be provided and all participants are encouraged to bring one extra of their favorite lure and drop it in the box for one lucky participant to win the milk crate of tackle at the end of the raffle. Artificial only please. Prize structure is based on number of participants. Heading South on Highway 101: Take Exit 203B for CA-1 N towards Morro Bay. Turn Right onto CA-1 N/ Santa Rosa St. Follow Santa Rosa Street / Highway I for approximately 5 1/2 miles. El Chorro Regional Park will be located on the right side of the road. It is across the highway from Cuesta College. Heading North on Highway 101: Take the Highway 1 / Morro Bay Exit and follow signs to the stoplight at Santa Rosa Street. Turn right onto Santa Rosa Street. Santa Rosa Street will turn into Highway 1.Follow Santa Rosa Street / Highway 1 for approximately 5 miles. El Chorro Regional Park will be located on the right side of the road. It is across the highway from Cuesta College. Any deviation from the rules will be cause for disqualification. If any participant suspects another of violating the rules they are required to contact the tournament director immediately upon check-in at El Chorro Park and provide proof. A “he-said, they said” will not be considered.